For the first time, a library was established in the central prison of Nangarhar by the name of Bacha Khan. The work was of a group of young people who were inspired to facilitate a reading platform for the prisoners. Tamim Arif Momand, the deputy governor of the province, Awrang Zeb Samim, director of information and culture of the province, some provincial officials and officials for promoting social reform and youth had participated at the launching ceremony of the library. The space for this library was prepared by an in-charge and other authorities of this prison, but budget for establishment, collecting books and basic materials of this library, like bookshelf has been paid for by these young people. In this library, different types of books are available for the prisoners that help them in enjoying reading. 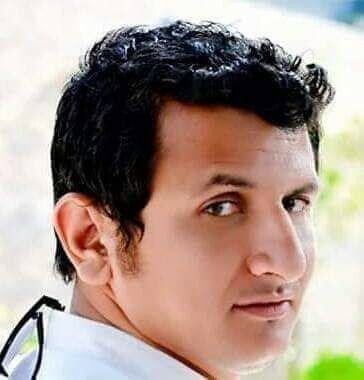 Two months ago, a 32-year-old young man from Nangarhar province, who graduated from school and has been a journalism student for six months, thinks about prisoners and their social environment. But he is pleased with what is commonplace in everyday life regardless of the challenges it has and says that the prisoners do not have these freedoms. In order to improve social well-being, rehabilitation and non-violence conditions of individuals and after follow up process in the prison, he aims to establish a library for prisoners of Nangarhar’s central prison. At the beginning Mr. Sherzad consulted the idea with his friends and despite the difficulty and challenges that the work could bring, his friends decided to join the journey with him to change the idea to reality. Dr. Zahir Adel, a good friend of Mr. Sherzad and colleague in this initiative, proposed him to start a campaign on social pages such as Facebook. “Although recently we have seen different campaigns among young people and these online campaigns have always been influential, the book campaign also become popular among people and many from different corners of the country announced support for the initiative,” Mr. Sherzad said. Mr. Shirzad added: “I started this initiative myself, then another person joined this journey and now most of the Afghan people are with us.” After the launch of the campaign and the beginning of the initiative, 250 people contributed in the library and book collection considering their capacities and resources. “After legal process of this library and reviewing the collected books to make sure that they are in accordance with the law of the country and Islam so that they wouldn’t create problem in the future, these books were transferred to the prison,” Mr. Shirzad said. Many books have remained in Kabul library, and some in Khyber Pashtunkhwa, Peshawar, which will be transferred to Nangarhar in a short period of time. But at the current stage, 850 books have been transferred in the library. 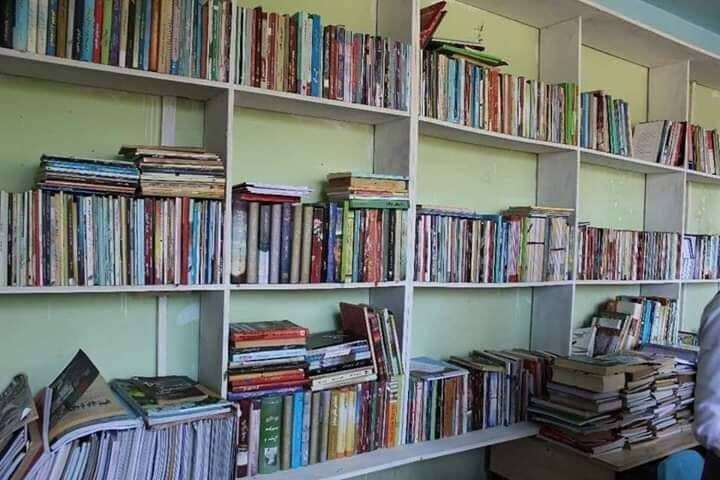 Even though no one has showed eagerness to provide financial support for purchasing more books to Mr. Shirzad, Haji Farooq, a prisoner in Nangarhar province who is also a businessman, offered to help Sherzad in terms of providing money for the creation of bookshelf for the library. The Bacha Khan library in the central prison of Nangarhar is run by one of these prisoners. This person is responsible for distributing books to all prisoners, when they return the books, he gives them new books. Although Mr. Shirzad had a big responsibility to manage a family of many members, hard work, dedication, belief in the spirit of the work and how it could bring a shift in the lives of the prisoners helped him to make possible one of the rarest initiatives in Afghanistan. In addition to running a small shop and small business Mr. Shirzad is working with a cultural center. 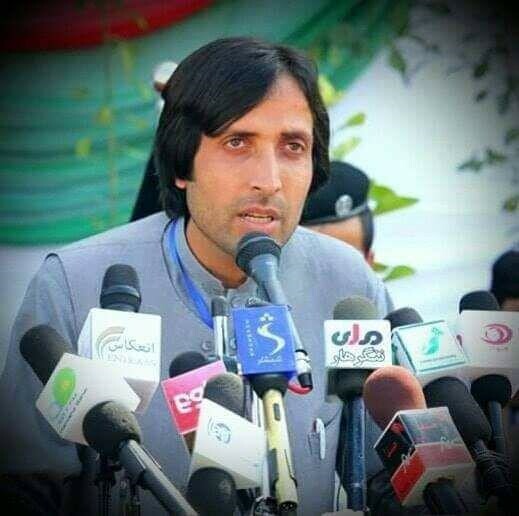 He is living in Nangarhar and plans to implement this initiative in other provinces with the help of people he aspires to create library in every prison throughout the country.